Quilting the Black-Eyed Pea by Nikki Giovanni hums with the rhythm of spoken word poetry and the jazz of human experience. Each poem carries with it an essence that reflects the Black experience from the capture and transportation of slaves and what that should teach us about how to treat people to the lessons we carry with us once our relatives die. Her poetry is frank and honest, but it pulls no punches to ensure that readers understand that there are deep wrongs that can be learned from as long as we are willing to look at them closely. It may be difficult to review past transgressions without jumping to defend or shy away from shame, but her poems cause you to meet those challenges head on and to learn from our own follies. Giovanni also takes her readers on a historic journey through the struggle for civil rights and equality in poems dedicated to Gwendolyn Brooks and poems about Martin Luther King and more. Her poems aren’t just about the past, but about contemporary people and events and the strength and conviction they display. Her poems range from the traditional free verse to the narrative prose-like poems that read like a stream of consciousness. Giovanni’s imagery and matter-of-fact tone tells it like it is without pretense, and readers will take a journey with her through her own life experiences. “Talk to me, Poem . . . I’m all alone . . . Nobody understands what/I’m saying . . . ” from “Shoulders Are for Emergencies Only” (page 15) is a lament that resurfaces, but readers nod in agreement as Giovanni expresses each observation. “We hear you,” they will say. There is a patchwork of poetry here that weaves history with the present and struggle with joy to generate the warmth family, friends, and life can bring. Quilting the Black-Eyed Pea by Nikki Giovanni is sensational and touching. This is my 33rd book for the Fearless Poetry Exploration Reading Challenge. 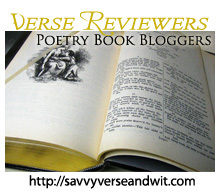 Welcome to the 112th Virtual Poetry Circle!